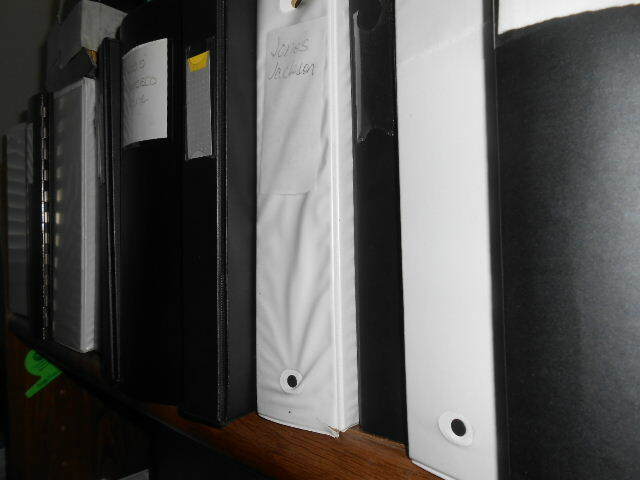 Binders and folders are necessary for genealogy, aren’t they? You have to print your family group sheets and save them somewhere…don’t you? What if I told you I was seriously considering reducing my genealogy binders so that they only hold copies of documents? What if I took it one step further and got rid of them all? Do I Need All These Binders? I started with folders. I still have a whole filing cabinet of them. Do I ever go in them? No. I moved to binders when I decided I hated thumbing through folders. And, I have binders–lots of binders. I can look at the shelf over my computer desk and count 13 of them. There’s also about 6 to the left of me and 12 behind me (mostly my Kauai genealogy project). There’s also binders in the garage. Can you tell I’m a genealogist? I lovingly put in dividers, gave every family a family group sheet printed from my genealogy database, added notes, and placed each document with the right family. It was all organized. As more and more documents have become available online I have shifted to digital copies. I have created folders for every family on my hard drive and organize documents that way. They are backed up on my external hard drive and on Google Drive. In the years since I moved, I’ve drifted away from my binders. I still bring them down periodically to look at documents. But, I rarely print for them anymore. It’s easier to find stuff on my hard drive. And, when it comes to looking up what I know about a family it is easier to look in my RootsMagic database. I haven’t printed a family group sheet in 7 years, so the ones in my binders are sorely in need of updating. That’s 9 great great aunts and uncles and the 45 cousins on my maternal grandfather…just on the Pacheco line! I no longer have the money to waste on paper and ink like I used to. Reprinting all those pages seems excessive now (and, I’m only talking about one branch of my very large tree). I Need to Scan All My Documents…Then Could I Get Rid of My Binders? Periodically, a cousin asks if I have some record. If it’s not on my computer, I go to the binders, scan, and email. I rarely send anything via mail anymore. Practically everyone is online these days. I am not sure I am ready to make this jump. But, if I haven’t updated them in 7 years except to add obituaries and things that have been given to me, what is the purpose of them? I think that the way I manage documentation has changed. I think I organize my genealogy differently these days. I think digitization has changed how I view things. I won’t be throwing any documents away. Don’t worry about that! But, I think it’s time to seriously think about whether these family binders are even useful anymore. What about you? Do you depend on hard copies of your genealogy data? 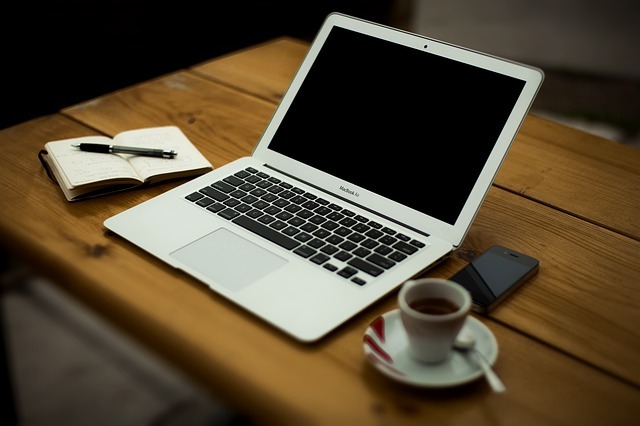 Have you done away with binders and folders for keeping track of your basic genealogy data?